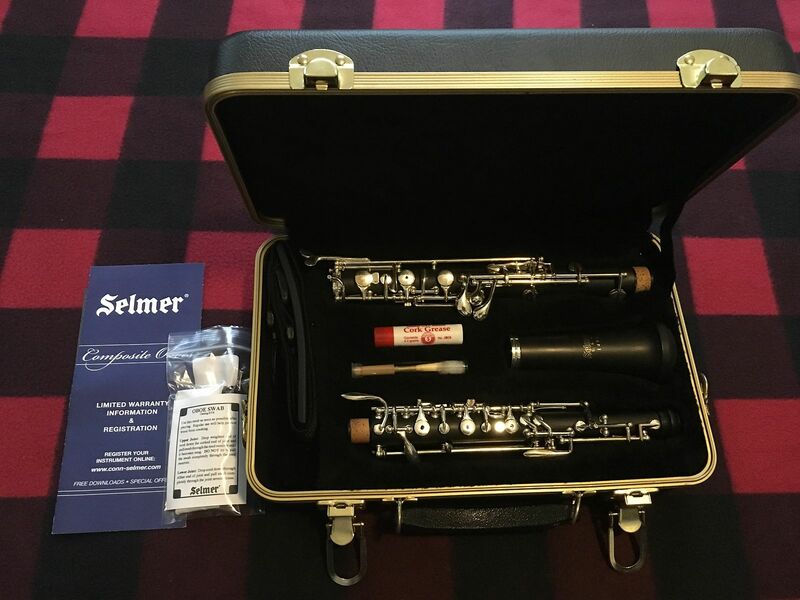 This oboe is brand new (it was assembled once to be play-tested), made in the United States and comes with a 5-year warranty. The warranty card is included in the case for you to register the instrument. Included is a reed, cork grease, an oboe swab, a tarnish strip, and a strap for the case. Featuring a high-impact plastic body, the 1492 is great for the beginning oboist. The silver plated, basic conservatory key system with newly designed French arms is fluid, light to the touch and easily maintained. The addition of highly contoured cork pads make for a student level oboe with response like no other. Range to low B. The 1492 silver plated oboe has basic conservatory key system with newly designed French arms is fluid, light to the touch and easily maintained. The addition of highly contoured cork pads make for a student level oboe with response like no other. Range to low B.
Resonite body with wood grain finish, basic conservatory system to low B, silver plated keys. Based on purchase price of $1,583.68 at 10% APR for 12 months. Excludes tax and shipping fees, to be calculated at checkout. Rates range from 10-30% APR. Choose from 3, 6, or 12 monthly payments. Select Affirm at checkout to get started.